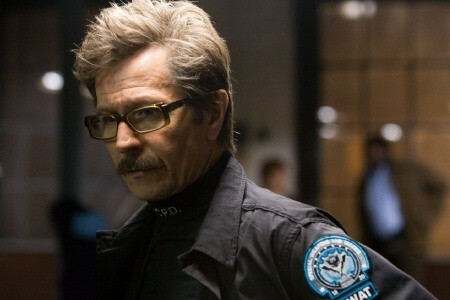 Our partner blog Cinematical recently reported this tidbit from The Book of Eli panel at Comic Con: Gary Oldman, who of course plays Commissioner Gordon in the latest series of Batman films from Christopher Nolan, has announced that the next Batman movie will begin shooting next year with a potential release date of 2011. Since these actors can never actually officially go on the record, Oldman followed up that news with the line "... but don't quote me on that." Thus, we're now left wondering whether he was guessing when he threw out a production start date of 2010, or if he really was telling the truth -- that he's been contacted, that they're currently ironing out a preliminary schedule behind the scenes and that Christopher Nolan's third Batman movie will indeed go in front of cameras next year at some point. Unless we're talking really late in 2010 (like fall, winter), then we can't imagine when Nolan would have the time to begin shooting in 2010, especially since he just started production on his sci-fi flick Inception starring Leonardo DiCaprio, which will arrive in theaters on July 16, 2010. One imagines Nolan will be busy in post-production on that sucker through at least the beginning of 2010, followed by press junkets for Inception and all that jazz. So when, exactly, would he be shooting Batman 3? Unless he won't be directing Batman 3? Stay tuned for more details as they develop from The Con -- and check out all our Con coverage right here.